Full Hookups with Wi-Fi connections. Conveniently located in the middle of the Gardnerville business district, the park is just a 5-minute walk to Sharkey's, JT Basque Bar and Restaurant, and Overland Restaurant & Pub, and just across the street from Woodett's Diner, a local favorite breakfast spot. Features include 30/50 amp service, full hook up spaces and some pull-through. Weekly and monthly rates available. Telephone and cable are available through local vendors. Other info: laundry and restaurants within walking distance. Propane and gas available a block away. Casinos, supermarkets, Walmart and more restaurants are a short distance from the RV park. 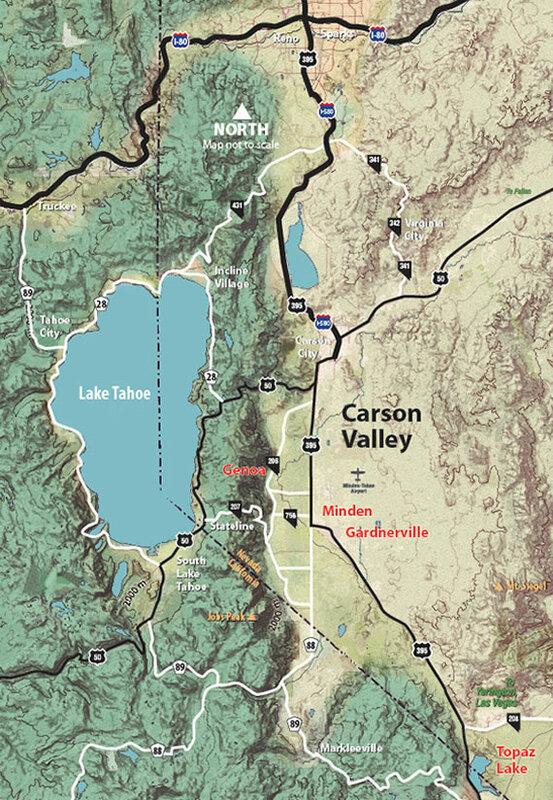 We are just two blocks away from the Carson Valley Museum and Cultural Center, the Carson Valley Visitors Authority, and Carson Valley Chamber of Commerce.